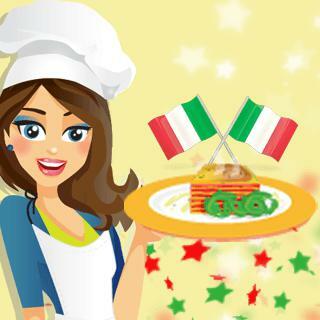 This new cooking game of the series Cooking with Emma is not only perfect for everyone who loves the Italian and Mediterranean cuisine, but also for everyone who prefers vegan and vegetarian food! Help our pretty cook Emma with this healthy dish. Use the utensils in the pictures and stir, chop and use the spices to season. At the end, you will have the whole vegan recipe in front of you and can cook a healthy meal for your friends and family!